Endo, Me, and a PhD: The challenges of working and studying with a chronic illness. | The Endo The World? Endo, Me, and a PhD: The challenges of working and studying with a chronic illness. Happy new year to you all- I hope you all had a restful Christmas break and that 2015 has started well for you! I haven’t blogged for a little while now, but have decided to start this year with a post that is very personal and emotive to me at the moment, about working and studying when you have endometriosis. Having had a good rest over the past couple of weeks I now feel strong enough to write about it. 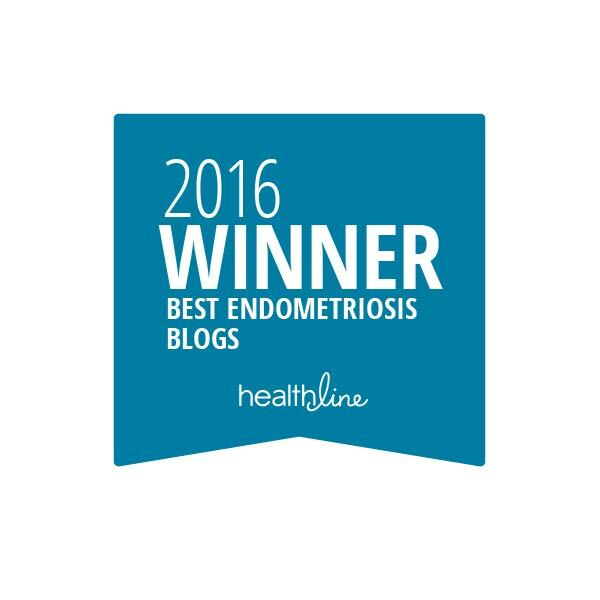 While it may be slightly gloomy in places, I know that having a successful career when living with endometriosis is possible (see here and here for some helpful guidance) and I am working towards this in the future. Until then, I have a lot to figure out. Happy reading! In October 2012 I enrolled on a PhD program, which means that I get paid for three years to conduct and write up my own research project. I’ve always been one of those straight-A nerdy types who dreams big for her career, so when the opportunity came up for me to do a funded PhD at a top university I jumped at the chance. It was like all of my dreams coming true at once. However, as I know you all understand, life doesn’t always work out as we plan, and starting my program coincided with a major turn for the worse in my endometriosis symptoms. As a result my professional life has gone a bit titanic, and I have spent the last year questioning whether I will be able to complete the program. This is not something I ever imagined contemplating- I am not a quitter, even when things get tough. So, thanks life- for nothing! It took AGES for my endometriosis to be diagnosed: While I had multiple hospital appointments in various hospital specialties since the start of my PhD, very little progress was made diagnostically, or action taken to address my symptoms. I think of this times as ‘THE DARK DAYS’, as I struggled to understand what was happening to my body with little support, and was basically freaking out that I was dying. That sounds way more melodramatic than it was at the time- trust me. I knew something was very very wrong but nobody was listening to me. When my doctors did finally notice my endometrioma, they spent weeks terrifying me that I probably had ovarian cancer, and would need surgery to confirm this. Looking back, living on terror alert was not particularly conducive to focusing on my work. So, I started to get behind with my project from the start. My symptoms have become progressively worse: Since 2012, I have gone from being what I would classify as feeling ‘quite unwell’ to feeling ‘very unwell’ on a regular basis. I am sometimes incapacitated by pain (usually in my leg, bowel, or shoulders) and/or fatigue. Work tasks that I could initially manage with ease, such as transcribing my data or going out to interview people now require much more planning and willpower to complete. Even with the best will in the world, some days I just can’t do anything. When I do go into work, chronic fatigue’s free gift of brain fog often holds me back, which for someone whose job relies on their cognitive abilities is a massive problem. It is like my ability to read and retain information have been completely obliterated, it’s really weird and disconcerting. I haven’t figured out how to overcome all of this yet. 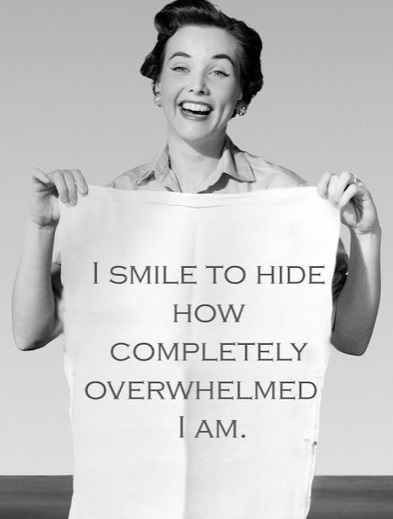 My mental health has taken a battering: You have no warning to prepare you for how frightening and bewildering it is to experience endometriosis symptoms, go though the process of gaining a diagnosis, and having to start managing your life with this disease. I haven’t seen much written about how traumatising it can be, although I see it so clearly between the lines on twitter, in blogs, and at my support group. I know it isn’t just me. I walked around in a daze for several months, just trying my best to survive from day to day. My mental health is gradually on the mend now I think, but for ages I was having fully fledged breakdowns on a weekly basis because of anxiety and depression caused by my endometriosis. So when in the office, there has been less working and more crying in the toilets, that sort thing. This is me every day at work. You have limited rights as an employee: Paid sick leave? Nope, we don’t get that. I have been informed that I am entitled to ‘intermit on medial grounds’, which means I can have an extension on my PhD deadline for the time I have missed because of my endometriosis. Sounds good right?! However, during this intermission my funding will be frozen- so I will be expected to carry on working to catch-up, but for free. FREE! This makes me sad because I feel like I need a break and the time to catch-up on work to reduce my stress. However, speaking to my fiance confirmed my fears about this radical course of action, I think the phrase ”starving to death” came up at one point. We have commitments to a mortgage and are getting married in June, so cutting off my income right now just isn’t feasible. Time is of the essence: If I don’t intermit I have until September 2015 to submit my PhD. So, endometriosis ground me to a standstill and brought me to my knees, but unfortunately time does not stop with you. The Disability Resources Center suggested some helpful interventions that could be put in place to help me (new software, study skills training, a book allowance etc), although these things are dependent on a funding application, which takes months, which will then clearly only help me in the final few months of my PhD and cannot undo the damage that has been done so far. ”If only you were in your first year” they kept saying. Helpful! So basically, I’m totally screwed aren’t?! This whole situation is making me unbelievably miserable. And I haven’t even mentioned everything that is challenging, like annoying colleagues: There is always one who knows the worst thing to say at any given moment: See ”I admire you for thinking about quitting, MOST people would just carry on and do what they’ve got to do” and ”You had surgery, so you must be a bit better now.” Grrrrrrr! I’ve made such a pigs ear out of this PhD that I can’t see me landing a job in research afterwards. I’ve come across as flaky, unmotivated and depressed I think- not a good combination for employers. And to be honest, I’m not sure I’d want it any longer anyway, I just can’t keep up with the fast-paced publish or perish life. My current thinking is to just keep my head down, keep working on the PhD as much as I can, and then deal with it the best I can if/when I have to submit late. I know its childish, but sometimes I wish I could just press pause on my life, or just run away from it and start again. Do you ever wish that? Thinking more long-term, I’m wondering if the kind of high powered and stimulating career I always wanted will actually be accessible to me now. Should I think smaller and take a little low stress 9-5 job that will protect my health, or carry on thinking big in a ‘this will not beat me’ style? I’m scared of letting people like my parents and fiance down, they’ve invested so much in belief, time and money in my education for me to throw it all away. I just don’t know what to do and it’s just heartbreaking at times. I’ve got so much to figure out. So that’s my experience of working/ studying while living with endometriosis. It’s not particularly pretty, but it’s really early days for me and I am still trying to figure this stuff out. I think my story further highlights the need for earlier diagnosis and for more holistic post-diagnostic support for women with endometriosis though. How do you manage to work with a chronic illness and/or chronic fatigue? Did you change your career-path pre/post diagnosis? Are your colleagues supportive? I really appreciate your advice and tips, and am interested to hear your stories. ← My morning fundraising for Endometriosis UK.